The pool lining was in need of restoration, fading dramatically in colour, appearing dirty and becoming difficult to keep clean. After exploring various methods of cleaning and attempting to restore the lining through paint and tiling, Wild Group were approached about the feasibility of lining the pool with a vinyl film. 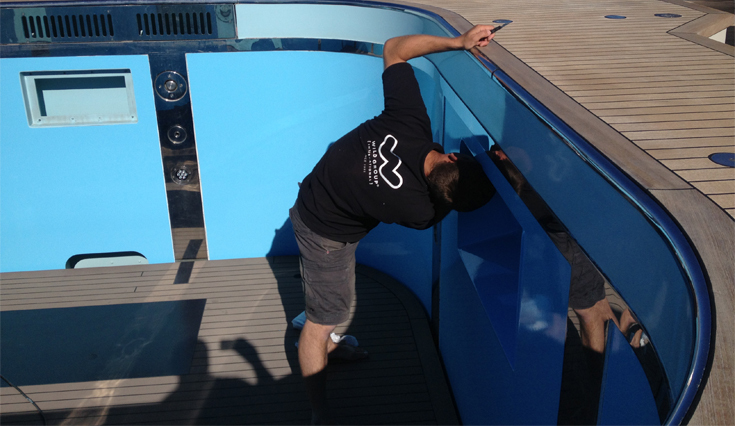 An aqua blue tough marine grade vinyl film was sourced and applied to the sides of the pool, giving an instant glossy, new look. 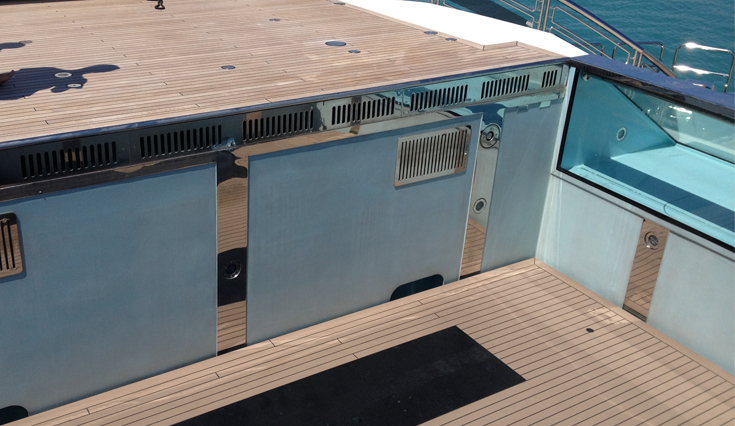 The silicone seal at the pool edge was removed prior to applying the new foil and then re-applied afterwards, so as to ensure longevity and a great standard of finish. 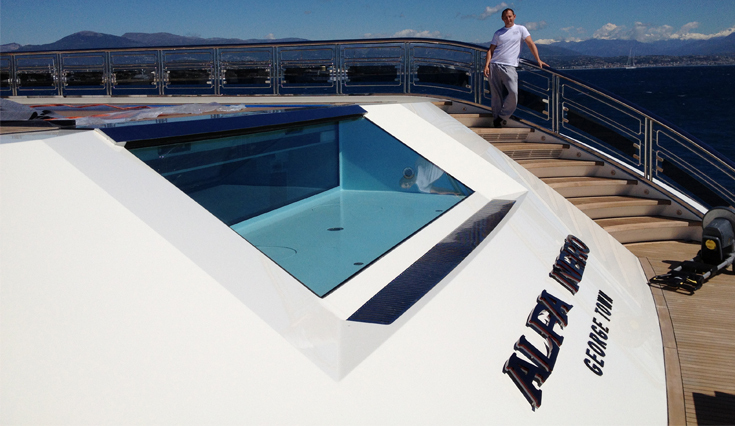 Wild Group completed their works over 3 days while MY Alfa Nero was on anchor, off Antibes. 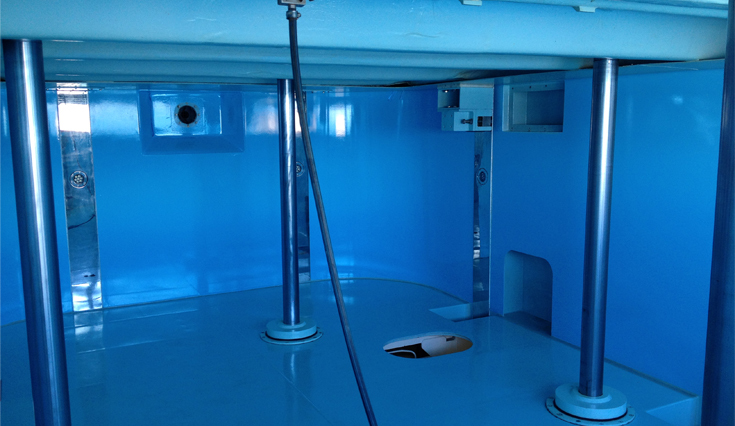 The speed and efficiency of the job in hand allowed the charter season to continue with minimal disruption. 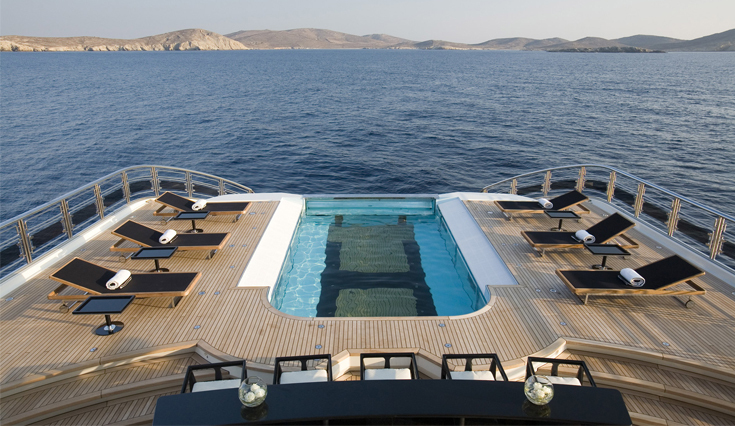 “I am very happy with the product and the guys work” comments Captain, MY Alfa Nero.